Textbooks can be a daunting thing coming into medical school. Knowing this, FMSS has compiled a guide over the years, with many contributions from past students. You may have already, or are yet to receive a multiple page document from the Flinders school of medicine (SOM) with the recommended textbooks for the course. We promise you will not have to purchase the entire list! Digital copies of any textbook you'll consider are available through your peers, and hard-copies in the library. Try before you buy! The library has most of the textbooks with multiple copies. Having said this, you can't always rely on availability of textbooks at any given point in a semester. Lots of the books are on 2 hour loans though, so you can usually find the book you're thinking of buying before you thrown down the money. Every textbook is different in both content, readability and style, so a lot of your choices will depend on your background knowledge of the subject and your preferred style. A physiology text is an absolute must. You will use it in every unit of first year and more than likely a lot of second year too. There is a large variety, and your decision should be made on the basis of your background knowledge in the subject. We highly recommend skimming through a few of them in the library to get a feel for the level of detail before purchasing one. A personal favorite of many students, Tortura goes into good depth but presents it well. It's easy to understand for new-comers to science, and it has wonderful diagrams. Recommended for non-science background students as well as science-background students. 15th edition is the latest. Flinders recommends this book, mainly because it contains all of the course content. Nicknamed 'Boron'. Boron is very in-depth, and to many with little or no science background Boron is too full-on. With time you can learn to love it, but certainly take a peak in a library copy first. 3rd edition is the latest. 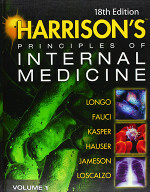 Many consider this book to be the “in between” physiology book. It explains concepts succinctly and is a wonderful book for anyone with a bit of physiology background. This textbook is great if you do not have a science background, or are not as confident with it. Things are explained very well, but you will more than likely have to supplement it with further resources (like Boron) later in the course. Quite basic, but explains concepts very well and can double as an anatomy text. It has lots of great diagrams! In certain subjects you will probably still require more detail in both the physiology and anatomy departments. It’s pretty hard to go wrong here because human anatomy has not changed much in the last 300 years, but it is important to get a book that maintains your interest as the subject can be pretty dry. The favoured anatomy book by many students and course organisers. Many personally liked this textbook because it has the perfect combination of description and explanation. It will briefly explain how the anatomy of a structure relates to its physiology and is therefore very useful when used in combination with your physiology text. 8th edition is the latest. Not to be confused with Gray’s Anatomy (40th edition). This textbook is pretty good. I know of a few students who preferred it to Netters and others who absolutely despised it. If you have any background in histology you will probably not need to purchase histology text, although some people like to have it. ots of descriptions of the disease processes and fewer pictures. It is a favourite of Ian Gibbins and is used as the source for many of his Histology diagrams. This book has lots of pictures, but is lacking in thorough descriptions of the disease processes. It would probably work best in cooperation with a good pathology text. Another one of my personal favourites. It was particularly useful in IMD, but was certainly used in the other blocks as well. If you have money burning a hole in your pocket I would definitely recommend picking this one up. This textbook is the basis of the entire clinical skills component of the course so it's pretty much a must have. 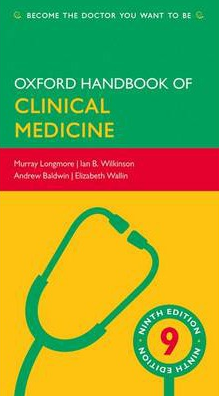 The clinical skills lecturers recomend that you should refer to this book often, and in your upper years you'll likely do just that. This book is a mashup between Talley and O'Connor's Clinical Examination and the disease mechanism outlined in Robbins and Cotran Pathologic Basis of Disease. It has become quite the bible for many students once they get into the clinical years and they all regret not paying attention to it earlier. It lays out every clinical sign you have ever heard of and many that you haven't and gives a clear and concise explanation. This book makes the difference between a doctor who can spot a clinical sign and one who understands what it means. 2nd edition is the latest. This book is definitely worth picking up. It has a lot of the same information as Harrison’s, without the three digit price-tag, and is especially useful when researching treatment options. Some first year students don't use it much, but it becomes very relevant in later years. An absolutely amazing textbook! It is useful for many topics, but many found it especially useful in Renal. Available for free electronically via the library system. A great pocket-sized reference for many diseases, along with treatment options and symptoms. Used quite a bit in second semester by a few students, and I see it floating around a lot with the upper years. 10th edition is the latest. 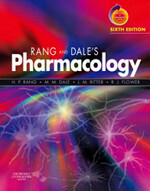 I have also heard good things about Basic and Clinical Pharmacology by Katzung which is available electronically through the library. I think either would be suitable for the subjects taught in the course so it’s ultimately a personal choice. This is a wonderful textbook for people with all kinds of biochemistry backgrounds as it explains the pathways covered in Human Homeostasis very well and has lots of useful diagrams. Not used extensively after first semester. 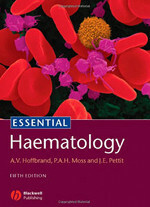 This book is very good for the blood related topics and has very good diagrams and explanations. It is highly recommended. Another expert level text, but used extensively by teaching staff so you will recognise the diagrams in their Powerpoint slides. It contains much more detail than necessary at first year level, and the field of Immunology will arguably change faster than other disciplines as new fundamental molecular mechanisms are discovered each year. This is a fantastic book. It is set out in an incredibly logical and readable manner. By the end of the unit you will have read it from cover to cover. It is an essential purchase. Lots of people really didn’t like this book because they found the explanations confusing and hard to follow. Most students seemed to use the Respiratory system “crash course” or “at a glance” series and photocopied the necessary details from West.